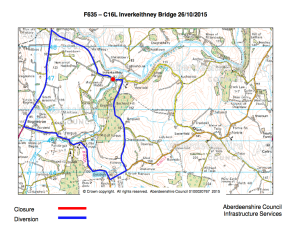 Inverkeithny Bridge over the River Deveron on the C16L Bogyoch to Inverkeithny Road will be closed for one day on 26 October 2015 between 0930 and 1530hrs. 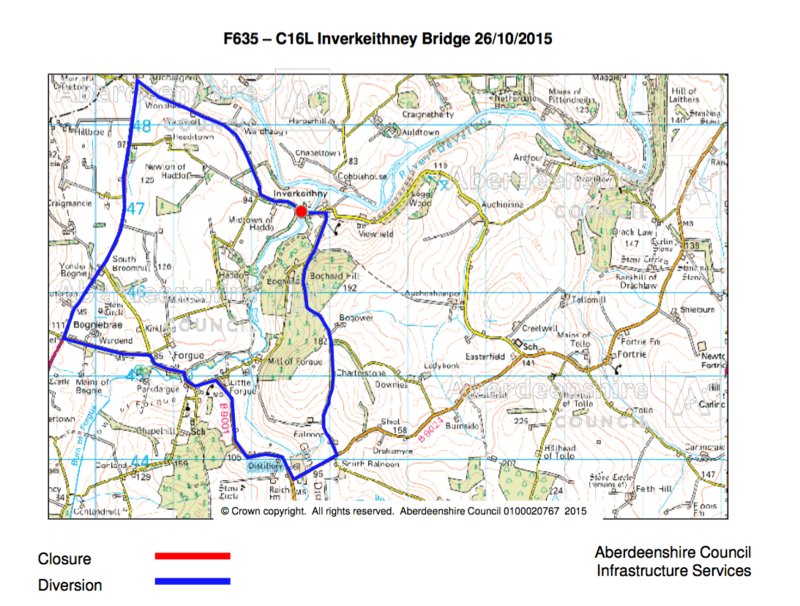 The closure is to allow Aberdeenshire Council to dig trial holes. Access will be provided for emergency, school transport vehicles and vehicles requiring access to properties but may be subject to delay until the road is cleared of construction plant to allow safe passage through the works.